Frauensee, also kwnown as Woman’s Lake in english, is a german film written and directed by Zoltan Paul. A glorious weekend in the waning days of summer. 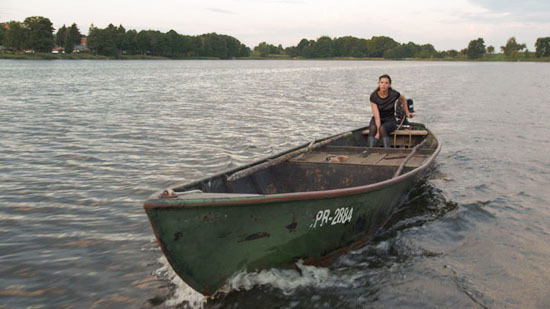 The protagonist, Rosa, is a guardian of the lakes in the magical hinterland north of Berlin and she is a professional fisher. Her lover, Kirsten, lives in a lakeside bungalow, and together the couple play host to two young students on a weekend break from Berlin. The four womens intense sexual attraction is fuelled be their profoundly different hopes and wordviews… Rosa, Kirsten, Evi and Olivia are portrayed by Nele Rosetz, Therese Hämer, Lea Draeger and Constanze Wächter.